Now you can participate & profit in Space Research Exploration and Development even if you are not a NASA Astronaut, a Billionaire Entrepreneur or an Aerospace Industrialist! Many of us want to be involved and invested in space exploration and development. The private sector is getting more involved in space, with billionaire entrepreneurs and established aerospace corporations developing orbital space stations, lunar and asteroid mining companies, planetary habitats and rockets to launch people and materials into space. Conventional wisdom says ‘if you want to be invested in this new industry, buy stock and support those companies that are paving the way to space.’ That’s good advise if you have the funds for a significant investment, but it will still leave you sitting on the sidelines, not involved, not truly a part of the new space boom. You can get involved and invested in New Space STARTING NOW! InterPlanetary Ventures Members are automatically members of Artemis Space, enrolled in the Artemis Space Academy (ASA), and can participate in Synergy Moon orbital and lunar ventures. InterPlanetary Ventures is a membership based Mutual Benefits Corporation that provides opportunities for you to get involved and invested in space research, exploration and development activities, to achieve your space related goals. InterPlanetary Ventures is a partner of Team Synergy Moon, building a mission to the moon that includes Micro Satellites, Lunar Rovers, Lunar Landers, and Spacecraft, all assets of Synergy Moon, which makes our members co owners of these assets. Welcome to Space 2.0 Space for Everyone! The Tesla Orbital Space Telescope is due for launch in 2014, providing public access to space. The Tesla Orbital Space Telescope will provide communications and operations capacities for Team Synergy Moon’s mission for the Google Lunar X PRIZE. Track asteroids, discover comets, observe planets and contribute to our lunar mission. This is the start of our participatory space program, your opportunity to participate, to get involved in space research, exploration and development. We are working with our partner Artemis Space to develop a large fleet of Earth observation satellites and space-based observatories to provide timely, high-definition imagery, near real-time video, remote sensing data, and a series of apps which will allow you to upload your experiments and take control of the spacecraft! 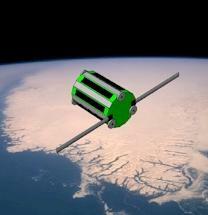 The program offers Hosted Payload and Rideshare opportunities for NanoSat experiments, hardware and software. Our space program will be accessible via smart phones and tablets, personal computers and specialized virtual reality interfaces. Virtual simulations will provide users with not just the data, but the very real experience of exploring outer space.